This coming Saturday is Earth Hour, when people all over the world turn of the lights for 60 minutes as a gesture towards helping the environment. 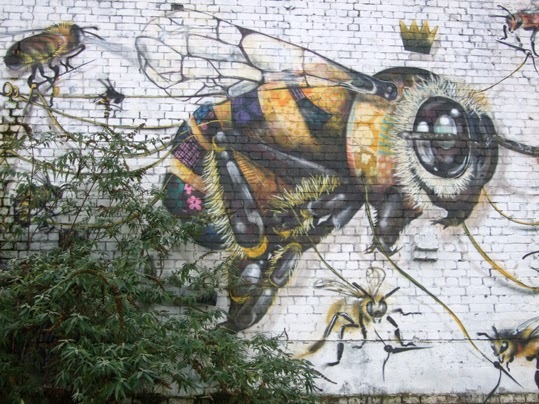 This street art mural in East London is also about helping the environment - the importance of saving the bees. Now is the perfect time of year in the UK to plant seeds for bee-friendly plants, so why not do that during the day on Saturday before turning the lights off between 8.30pm and 9.30pm in the evening?